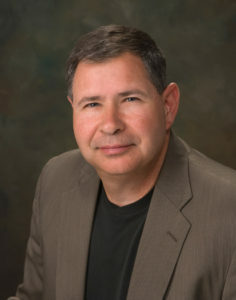 Andrew currently serves as President and CEO of Native Network. He has 30+ years of experience as an engineer, entrepreneur, and visionary. His experience in the U.S. Marine Corps, his Bachelor Degree in Electrical Engineering from Southern Illinois and 7 years of working as a Boeing engineer prepared him for his telecommunications career. Metcalfe’s Native American heritage and experience growing up on the Colville Indian Reservation in Washington State provide him with a nuanced understanding of tribal communities and the challenges tribes face. He’s served as chief engineer and architect of network infrastructure for a large Cellular One franchise and founded a successful regional carrier, Northwest Telephone, Inc. (NTI) that partnered with major wireless and cable companies. Mr. Metcalfe led the successful sale of NTI to Zayo Group, Inc. After integrating NTI and other acquired assets, Mr. Metcalfe left Zayo and formed a consulting company, CATTCOMM LLC and aligned himself with global consulting firm FTI Consulting, Inc. He is now leveraging his experience and background while following his passion at Native Network, a company he formed exclusively for telecom & broadband projects in Indian Country.